Laton Alton Huffman arrived in Miles City, Montana Territory in December of 1879. He was 25 years old and had come to seek the recently vacated position of post photographer at nearby Fort Keogh. Fort Keogh was a military post established shortly after the Custer incident in 1876 to provide a military presence in eastern Montana. He was appointed post photographer, an unpaid position that provided a dirt floor log studio and an opportunity to make and sell photographs. This was a rapidly changing time in Montana's history. Hostilities between early settlers and Native Americans were drawing to a close and reservation life was beginning. The demise of the great buffalo herds was near, clearing the way for large scale cattle ranching. The railroad arrived in Miles City in 1881 and changed everything. The arrival of large numbers of farmers with their plows and fences would permanently alter the landscape of eastern Montana. During all of this, Huffman was there taking photographs - landscapes, animals, early ranches, street scenes and, especially, people doing their work. His photos of buffalo hunting taken between 1880 - 83 are some of the few that exist and are among the most historically significant images he produced. By far his most extensive and complete body of work relates to the cattle industry and its associated activities. He photographed the beginning, heyday, and end of the open range days. In addition to his skill and artistry as a photographer, he was able to incorporate his previous experiences as a rancher. He participated in roundups, helped with the activities and knew many of the area's ranchers and cowboys. His ability to anticipate the action helped him to be in the right place at the right time. His early action-stopping photos, many taken from his "four legged tripod", are unequaled. Huffman approached his work with the eye of an artist and the perspective of an historian, a rare combination. Western historian J. Evetts Haley perhaps said it best "For sheer versatility of significant and historic subject matter close to the range of the grass, (Huffman's collection) surpasses them all." 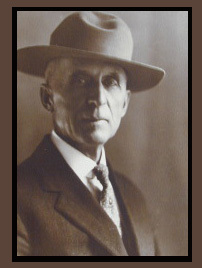 In 1976 Huffman was inducted into the Hall of Great Westerners at the National Cowboy and Western Heritage Center in Oklahoma City, Oklahoma. He remains the only photographer to have received that honor. Huffman died in 1931 at the age of 77. He took many of his most important photos in the early 1880's. He did so with relatively crude equipment and technology, yet produced images of a quality that could not be bettered today. He photographed the West as it was - the unvarnished truth, not romanticized versions as depicted by novelists, artists and Hollywood. Huffman left an unmatched visual record of early Montana. The importance and appreciation of his artistic legacy will increase with each passing generation.